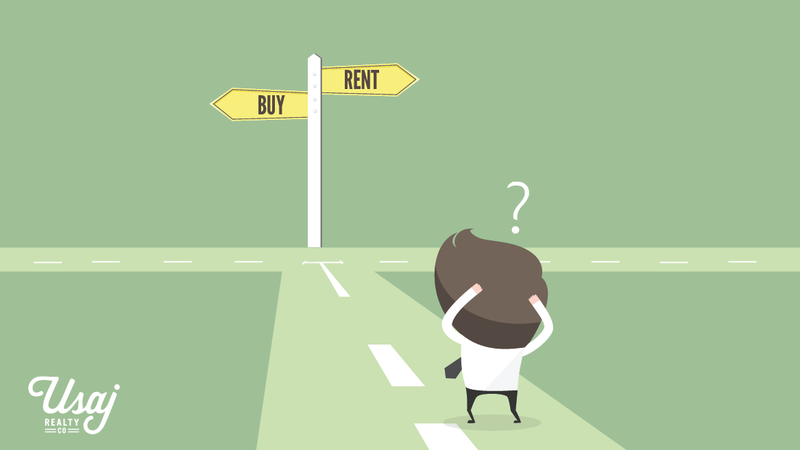 Rent Vs Buy | Is It a Good Time to Buy a House? Can you afford to buy a home in Denver right now? For many, it’s not an easy decision making the leap from renting to owning. In August, the average sold price for a single-family house was $484,000, and the median sold price was $410,000, according to the Denver Metro Association of Realtors’ September Market Trends Report. For a condo, the average was $318,000 and the median was $275,000. Homes sold for about 8 percent more this August than last August. When prices are high and climbing higher, renting might seem like the obvious, more budget-friendly choice. But buying might be easier than you think, and the choice to rent or buy is about more than just finances. Consider the following questions if you’re weighing this decision. Can I Afford a House in Denver? Let’s say you want to buy a house at the median price of $410,000. Did you know you don’t need 20 percent down these days to get a loan? With 10 percent down and good to excellent credit, you may qualify for a low-interest-rate, low-cost mortgage. A 30-year, fixed-rate loan would give you a monthly principal and interest payment of $1,762. You’ll also need money for homeowners insurance, property taxes, and regular maintenance. You may need to come up with about 1 percent of the purchase price for closing costs in addition to your down payment, or you may be able to roll the closing costs into your loan, which increases your loan costs slightly. If a 10 percent down payment isn’t doable and you want to buy soon, there are ways to get a home with a lower down payment. You could get an FHA loan with 3.5 percent down or a conventional loan with 3% or 5% down. In either case, you’ll pay mortgage insurance premiums. Your monthly payment will be higher in this scenario since you’re borrowing more and paying those premiums. However, you will also get a break on your taxes and be building equity over time. Are My Finances and Lifestyle Stable? Owning a home requires enough financial stability to keep up with the mortgage and associated expenses. And many people enjoy customizing their home with upgrades and remodeling projects, which can be rewarding but aren’t cheap. If your income is highly irregular, your current job looks shaky, or you’re considering a major career change, it might not be wise to add the stress of a mortgage. Further, because of the closing costs associated with taking out a mortgage and the transaction costs associated with selling a home, you might not come out ahead if you need to sell within a few years of buying — unless the market keeps going up. Continued home price appreciation might seem like a sure thing right now, but that’s what people thought in 2005, too. If you buy a home and the price drops, you could find yourself upside down on your mortgage — owing more than your home is worth — and unable to move. For these reasons, it’s best to postpone buying until you’re reasonably sure you’ll want to stay in the same home for years to come. If you might need to make a major move for work or family reasons, waiting until your circumstances seem more stable could be a good choice. Let’s say you do have a stable financial and family situation, but you have an active social life or lots of hobbies. You might not want to become a homeowner. Renting means less responsibility: no yard work, no maintenance. It also means no unexpected repair bills and no need to come up with $10,000 for a new roof. That being said, buying a condo with a well-run, fiscally responsible homeowners association can be a good compromise between renting and owning a house. The association will use your HOA dues to take care of all exterior and communal maintenance. Also, renting comes with uncertainties that homeownership doesn’t. The landlord may not renew your lease. Rental prices can increase rapidly. You could be forced to move for reasons beyond your control. With a fixed-rate mortgage, you’ll always know what your monthly payment will be for the life of the loan. Then again, you still face some unpredictable situations due to the cost and timing of repairs, and potential insurance premium and property tax increases. Some analysts are concerned that home prices have appreciated too quickly in Denver, representing a possible bubble. The DMAR’s September report, though, says bubble concerns are unfounded. The truth is, no one can predict what will happen with housing prices, because what happened in the past doesn’t necessarily foretell what will happen in the future. A continued influx of new residents could continue to increase housing demand faster than builders can accommodate. Denver is one of the fastest-growing cities in the country. Relocations of major corporate headquarters to the city. Various companies are considering big moves, which would increase jobs and housing demand in Denver. Their plans aren’t final yet, though. Mortgage interest rates are at historic lows and have been for years now, but they’re expected to increase over the next few years. Then again, that’s what everyone has been saying for the last few years, and rates have barely inched up in that time. If you’re getting a mortgage to buy your home — and most people are — the higher the interest rate, the less you can borrow. Every time rates increase by 0.25 percent, you can afford about 2.5 percent less home. Your ability to borrow $400,000 at 4 percent becomes an ability to borrow just $360,000 at 5 percent. If home prices go up and interest rates increase, you might be able to buy substantially less house in five years than you can today, especially if your income doesn’t increase. Is Renting Better for My Finances and Lifestyle Right Now? The high cost to buy a home in Denver and the major commitment it represents mean that renting will be more appealing to many people, especially given the number of new apartments available. Renting can certainly be more affordable; if all you need is a studio, expect to spend around $600 to $900 a month. However, most people want a little more room than what a studio offers. According to the Apartment Association Metro Denver, the average rent price in metro Denver in Q2 of 2017 was $1,420 compared to Q2 of 2014 when it was $1,117. Even though this may a bit less than a mortgage, it's money that goes into the landlord's pocket and you receive no tax benefits. Newcomers to Denver and those who expect significant career or life changes in the next few years might be better off with the flexibility of renting while they see how their needs evolve. Rapid career advancement or getting married and having kids could have a big impact on what kind of housing you prefer. Rental property managers are reporting that it’s taking longer to fill vacancies, which means rental prices are stabilizing. And 13,000 new apartments are expected to hit Denver’s housing market by the end of the year, which might impact future rent levels. Simple buy vs. rent reports and calculators don’t take into account all the costs associated with home ownership or all the emotional and lifestyle factors that play into the rent vs. buy decision. You can use them as a starting point, but they can’t make this major choice for you. If you are considering buying a house or condo and wonder how much you can afford, it's good to sit down with a lender and go over your options. If anything, a lender can help you put together a plan to make home buying a reality down the road. We at Usaj are clearly in favor of home ownership, but we aren’t in the business of helping people make mistakes, as our many positive testimonials show. Feel free to reach out to us if you’re interested in learning more about whether buying a home in Denver is right for you.